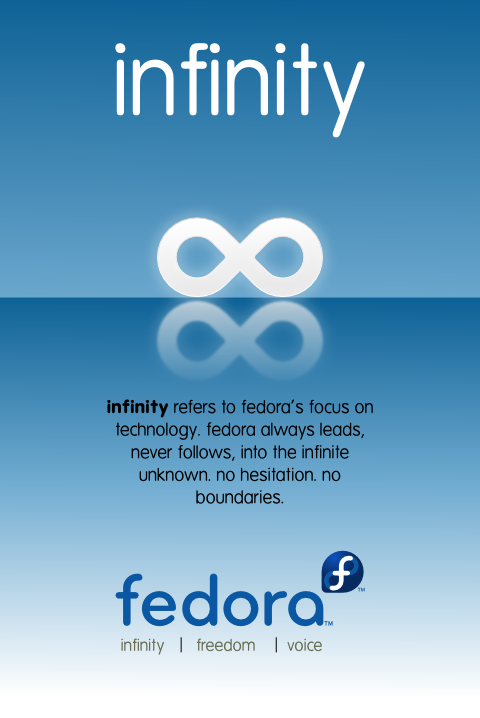 Máirín did a great job with some generic posters for the Fedora project. After some discussion on the fedora-marketing list she made a second set with more subdued colors. Some people really missed the more vibrant colors, and I sort of fall in between the two camps. 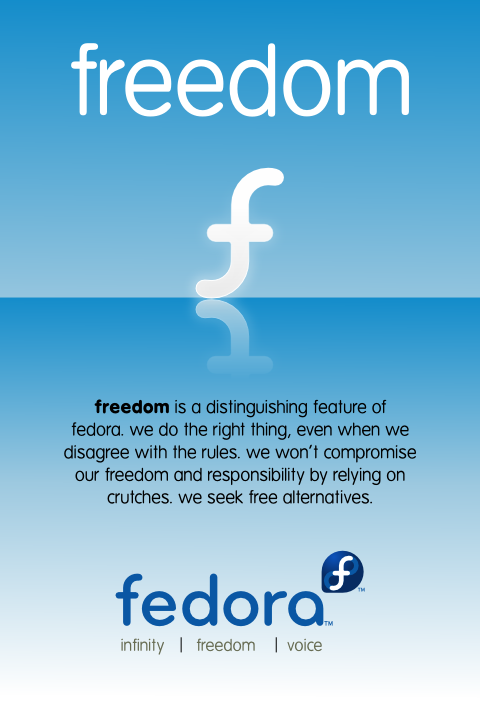 Mainly I feel they should adhere to the Fedora brand a bit closer. 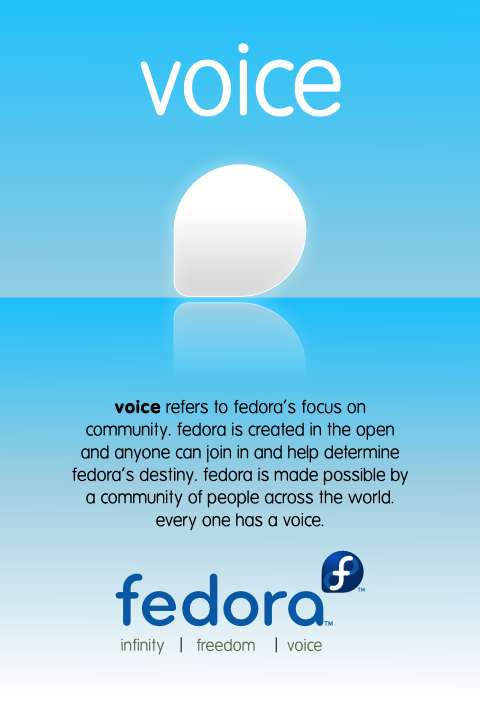 You should be able to look at any marketing materials from a distance and know without reading them it pertains to the Fedora Project. So I grabbed her original svg and made a version based on the Fedora logo colors. Considering I’m a total beginner at inkscape I’m kind of proud of how they turned out. 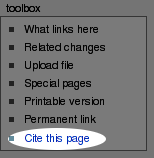 I mean all I did was change a few color values but I can still say “I made this.” Thanks Rahul for pointing me to the font packages I needed so the text would render properly. Here’s my svg for anyone who wants to try some other colors. I’ve been meaning to make a hackergotchi for a while now. Problem is I’m the one always taking the pictures. There really aren’t that many pictures of me laying around. 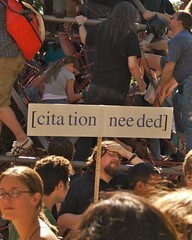 Anyway something is better than nothing so here you go.